Every week, I will share people's dreams, projects, passions, because I believe we can all inspire and encourage each other to create the life we really believe in. This project is called INSPIRE. Gilles Denis is a Belgian globe-trotter, life lover and dreamer, physicist at heart, expedition travel guide in southern Greenland and apprentice adventurer on a quest for self-accomplishment. I am a 27 years’ old curious city-boy from Brussels who’s rapidly become fascinated by big open spaces and wilderness. As well as the human-typical process of turning a dream into a project and that project into action – from shear madness to something doable to it actually being done! What happened for you over the last couple years? After high school I got to travel a fair bit, with a sabbatical year in Canada and New Zealand first. Discovered a ton but above all got to know myself better and better. Being alone helps! I studied physics at University because it appeared to me the subject would answer most of my many questions. But as I got to travel more and more these questioning switched to a quest for self-accomplishment – finding my life’s purpose and meaning: what would be my input to the world ? And how do I turn an abstract idea into a reality. But then two things happened: first was a 3 months’ long winter expedition in the Canadian Arctic (see my blog http://moderngoldrush.weebly.com/) and second was my confrontation with the aspect of our ‘classical’ Belgian lifestyle I dread the most: routine. Through that first experience I realized I was stubborn enough to pursue my dreams and that I can be just who I am – I now believe that anybody with passion will always be listened to with interest. Through the later I understood that there was no way I could sit in an office 8 hours a day and that I needed not only the outdoors but ‘drive’ to channel my energy. So at the end of March 2017 and without further working perspectives I quit my Phd in Climate Physics and set myself a goal for my 30th birthday: to set up a new expedition – one that would be ambitious and original enough to convince sponsors and partners beforehand and that would also provide me with enough material (photographs, film footage, anecdotes) to take advantage of it afterwards through conferences, photo exhibition, movie, book – who knows? – and hopefully start making a career out of this. Why did you decide to become an outdoor guide? I didn’t decide. I tried. It worked out and I love it! 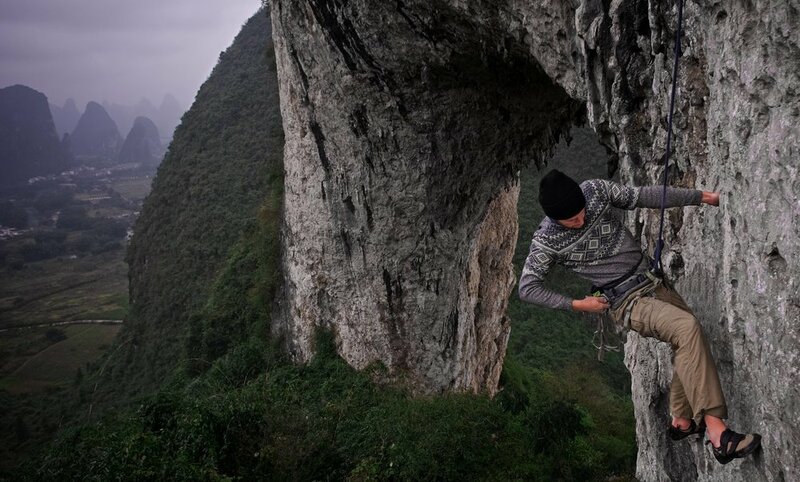 Two years ago I was in Asia climbing with my best friend and at some point it rained a lot, which got us stuck in the little Chinese village we stayed in. There we started talking about future perspectives. My parents had recently come back from some hiking holidays two weeks in southern Greenland and they had talked to me of the guides there and their lifestyles. My friend and I thought it might suit us well! 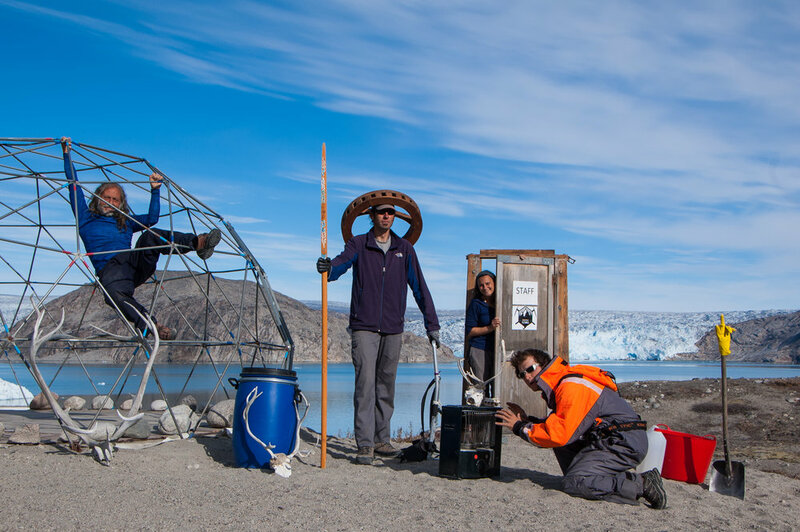 So I contacted them and a few months later both of us were in Greenland under some collaboration contract (we worked for two months as assistants for the real guides in exchange for our flights, room and board). I ended up staying longer and at the end of the season they needed an extra guide for a two weeks’ hiking tour and decided to put me to the test. “Here is your group” – 12 people from Spain, Germany, the US – “guide them!” Just that ahah! I was quite lucky… Now I work for them as a guide. And I have my own assistants ahah! I don’t have much of a ‘daily life’… My life is a never-ending construction site, it is in constant evolution and I move a lot which is both exciting and tiring. Since April 2017 I worked in private tutoring with secondary school students; did some sea kayaking course in England; then went to southern Greenland for the months of July to September where I recently started to work for a Spanish company guiding groups of up to 12 people on hiking, sea kayaking and glacier expeditions; and now I just came back from one month in Yunnan (China) training with friends for Big Wall climbing (rock climbing which involves sleeping on a vertical wall). Now I’m in Belgium for a bit working on my next projects. Which fears do you have now? I don’t mind to be 'the awkward guy' but I don’t want to stand all alone in this. I fear that my path is taking me further and further away from my friends and family. And I fear that it might make me quite selfish. What makes you jump out of bed in the morning? 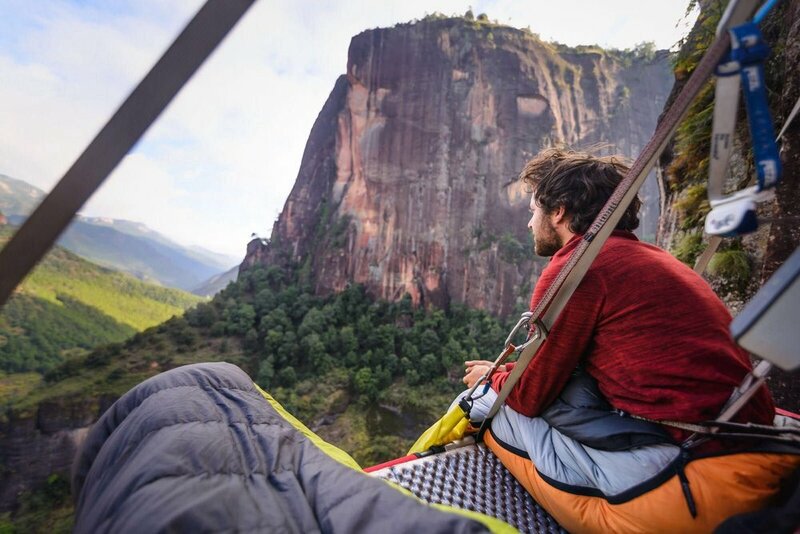 During trips and expeditions what makes me jump out of bed/sleeping bag is the thrill of discovery and new experiences. In between, it’s the hope that I might make the miracle happen one day: turn impossible into possible! Hum… ‘You never know if you never try’ I guess. Also ‘love your life’ – it will no doubt make you a better person. I feel a lot of people don’t trust themselves for their capacity to change and adapt. So when the time comes, if your situation doesn’t suit your needs or vision, be brave enough to change! Freedom is a state of mind (at least for those of us lucky enough to be born in a good environment and with an education). Ahah! I just need to look at the map of the world and all sorts of crazy ideas pop out! I'm following the dreams that I dreamed as a child. Listening and talking to people driven by passion. Life lovers. Like Kerouac, only the mad ones really matter to me. Because madness is key to creativity and large undertaking. What do you think makes your Difference? What is your purpose – your big Why? I don’t feel much different. But I dream big and I’m stubborn. Also I love my life and since I don’t believe in reincarnation or paradise I want to make the most of it! I aim to split my time between guiding jobs and preparation of my next expedition project in two years’ time. 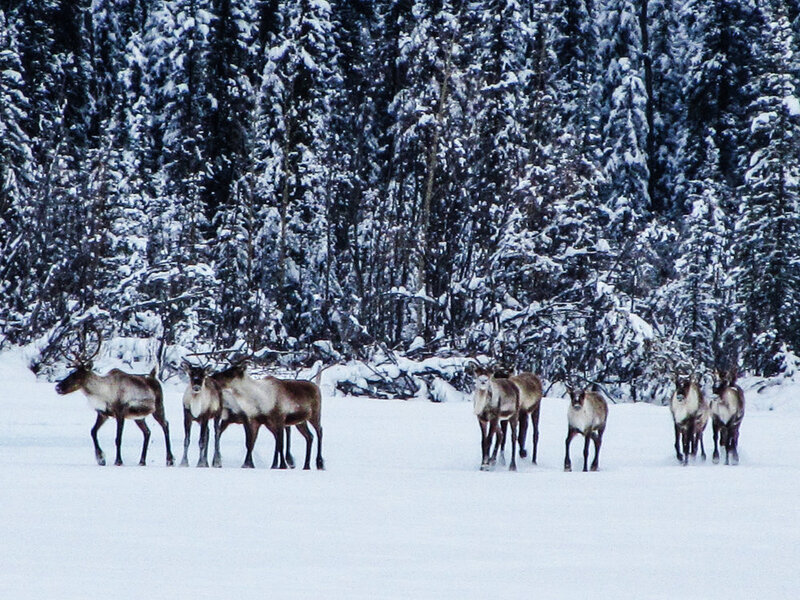 I’m looking at other opportunities to guide in Greenland and elsewhere – would love to guide backcountry skiing trips in the Yukon, the most wonderful place in the world (working on it!). 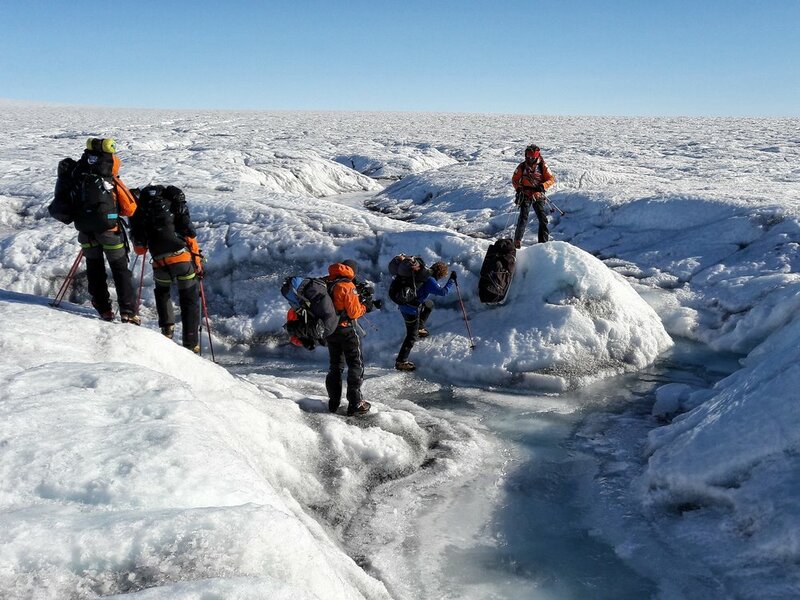 I plan to better train myself as a trekking, sea kayaking and arctic guide – not really interested in the mountaineering career though… And for my next big project I’ll have to train hard in various disciplines so it will involve day-to-day training as well as pre-expeditions. And then a lot of logistics and networking. Accept the possibility of failure. Do what you do with passion. Thanks for sharing your story Gilles! I strongly believe you inspire people by following your dreams. Utopian designer, ecosystem architect, neuroscientist, dreamer and idealist entrepreneur, Pierre-Alexandre is an expert in peer-to-peer models, regenerative economy, collaboration practices and urban transition, he co-instigated the civic innovation network, a platform for collaborative urban resilience. My latest enneagram told me I was an adventurer, enthusiastic and generalist – thoug hardly satisfied- person. I am a Belgian-born trying to understand the world and myself for the last 30 years. I have numerous passions such as science, art, architecture, history, geopolitics and philosophy. My latest shift occurred a few years back, I started the path of introspection and let my Cartesian features and hyper-rational thinking aside to open my embodied experience to the wonders of this mysterious life. I deeply believe in humanity, in the efficient use of crowd intelligence, multitude and contribute to the resurgence of tribalism into a peer-to-peer mesh built on trust and transparency, raising the collective consciousness of our specie, as well as triggering global and local actions for more Harmony. Now I self-read me quite a bit, I could say I probably built myself around my deepest fears, being scared out by the surrounding unknown and non-understandable chaos. Hence, as a protective reaction, I like to place myself in situations including ambitious perspectives, tackling big challenges. Possibly untacklable ones. Bringing a change and improving things. At least a little bit. This is why I wake up for every morning. What happened for you the last couple years? Since 2015, so many things happened, but let me give you some context as keys for understanding. I was 22 when I started my Ph.D and between 2010-2015, I spent most of that time in a neurophysiology laboratory, trying to understand the neural basis of decision-making. How does a complex organ such as the brain work? Do we even get the basis of its functioning? I traveled from lab to lab between Berkeley, California and Brussels, Belgium, fed my narcissistic curiosity, learned a huge diversity of skills and realized how science and academic publishing, as the private corporate world and innovation ecosystems are skewed and f*cked up, mainly because of productivity and investment mechanisms. Progressively, I got Politically aware and started to see the delimitations and interdependencies that made humans exist, how they structured themselves over centuries, how they created value, how they maintained symbiosis amongst them and with their ecological environment, which challenges were awaiting us and I could then point out critical domains in which humans could, with the help of technology and by shifting their human nature avoid total wreckage. Education, innovation, economics, politics and media. Everything relies on these five pillars. After I got involved in the Pirate party (politics, 2011) and built a digital platform that allowed journalists and webcontent producers to be independent through crowdfunding mechanisms (media 2013-2014), I met with incredible beings in the Summer of 2015. We started thinking about innovation ecosystems based on values such as transparency, collaboration and trust. The whole vision was to build a regenerative ecosystem producing useful innovations inspired by Nature and allowing skilled individuals and projects with high impact on society or the environment to foster and sprout. During a year and a half, we’ve met hundreds of people, entrepreneurs, engineers, architects, designers, scientists, makers, you-name-them, sharing a similar vision and identifying the pains weakening the current framework: competition, fragmentation, silos and investment mechanisms. Around a strong collective of individuals, we tried to build a rainforest, a fertile ground for impactful projects and changemaker individuals. We invited inspirational people from Canada and New-Zealand, we organized retreats and working sessions, regular meetups and slowly build a community of like-minded people. We had a few consultancy missions from public and private actors, looking for inspiration from brains thinking outside the box. Unfortunately, pulling such a human construction is a fragile process and many obstacles stand on the way. Some individuals from the collective were building biofuel cells based on bacteria decomposing waste, others where using mushrooms to rehabilitate soils or build sustainable materials, working on next blockchain generation services, connecting farmers to customers with a smart food supply system, working on p2p holistic housing ecosystems or investigating currencies of the future. Since then, I have been supported by Lunt philanthropic foundation, they opened a curriculum at Louvain School of Management where I could give a class about regenerative economy: using other metrics and dealing with new symbiotic models in innovation. External factors also lead me to deeply think about my actions, my behavioral patterns and myself. Attacks and collapsology –discipline studying the systemic aspect of crises – triggered self-reflection, brought me to leave my Cartesian/rational approach and to open up in a more humble way to existing realities. What can we do now, is it really worth it? For what goals exactly? What do we aim at to implement as change in our societies. Since September 2016, together with a few talented individuals, I’ve been working on a new project called Civic innovation network. Our goal is to act at a city scale: we gather multiple stakeholders (startup, initiatives, public and private actors) and see if they can become compatible and complementary in a scenario to tackle urban challenges. Concretely, we build “impact joint ventures”, new co-owned structures reflecting a common mission shared amongst different actors. Concretely, we work on a mobile fablab project (fabbus and fabbikes to raise awareness on new technologies and opensource models from makers movements in schools and thereby building new bridges between neighborhoods), on a food logistic hub (centralizing food surplus and bringing 5-10 projects to share a kitchen to process/transform and distribute it), working on defibrillator and drug deliveries by drones, connected toilets for women, working on a program for mental health and new ways for treatment through new technologies, etc. Aside from these core projects, we have designed tools and methodologies that help these actors to talk and work together and we are working on missions for public and private actors. The whole philosophy behind is that “Unity makes strength”. Others should be first seen as collaborators and not competitors. I see this as a continuous flow of events. A vertuous helix, evolving and mutating from one day to another. There is no threshold to be identified, rather a progressive feeling of being at the right place, with the right people and looking/acting in a positive direction. Nonetheless, regarding CIN, few important moments. A striking one happened at the first meeting where we gathered complementary actors. Seeing everyone building empathy, lowering their ego or the interest of their single project to embrace a common vision was a big breakthrough. In another capsule, we managed to open a dialogue between dozens of actors involved in fablabs in Brussels, which were barely talking for years, they were selected lately by a governmental institution and are about to start a 600k € project. It is all about building that centripetal force and build the interest of public administration, corporates and other entrepreneurs eager to try out and experiment with our methodologies. Working towards your ideals with passion entails a lot of abnegation and self-reflection. It is definitely not an easy journey. Fears are strong and present. You need to deal with these. Uncertainty is cyclical. New models require a focus on vulnerability, which is not promoted by current conservative models in which I grew up in. Performance, self-integrity and productivity are not helping to address this anxiety. On top of that, the entrepreneurial scene gives the illusion this journey is easy: a good pitch, fast clients and you raise a million dollars by tomorrow. It requires intense discipline and sensitivity about your environment and yourself. The rise of eastern or tailor-made spirituality in innovation ecosystems goes in my opinion hand in hand with these particular conditions. At 18 months, startups have a failure rate of 87%, which is huge. I loved to hear Larry Lessig (Law professor at Harvard and Aaron Schwartz mentor) claim that we our societies today need more Losers. People who can implement change without straight success and return. Hence, the whole point of my (and other idealists) journey is to de-condition ourselves in order to embrace this schizophrenic mindset: dealing with the uncertainty and the possible failures while keeping the direction and vision clear while executing it. Which fears did you face during this process? Not making it. Compromising my principles. Digressing, disnature and tweak the vision to make it work. Being seen by others as weak since poor- or utopian-outcomes. Get to know myself too much and losing control. To meet inspired, passionate and committed individuals, this is enriching. You then know realize many of us are taking risks and building this world of tomorrow. The fact of spreading and receiving love and care. And knowing that I will spend my day building a framework where individuals and entities can be more respectful to one another, where they will be able to trust eachother and collaborate. Contemplating the beauty of society, Nature and the Universe is an everyday lust, I cannot get satiated from it. No goals, no expectations. Rather the importance of flexible perspectives. I like to believe in small wonders, seeing things everyday with a new perspective, new details. Trying to reach high level of self-consciousness and set permanent feedback loops up. Learn from mistakes. Make emotions, passions and pulsions readable. Phenomena are the result of systemic cascades. Issues are particular cases of phenomena, they have identifiable causes which can be tweaked and shaped. Our own fears regarding the future and current challenges come from the discrepancy between our comprehension, our prediction abilities and the dreams we have, our ideals or the utopia (literally, which doesn’t exist yet) we would love to see around. To cope with that, we have to learn to stop rigid projections and embed resilient and adaptive protocols and behaviors. I believe if a shift must happen, it won’t come from technology, cryptocurrencies, digital platforms or innovation per se, it all rely on human nature. How do we want to function as a society. How do we consider the others and all the elements that surround us. If we keep rising our children in competitive and productive settings, we’ll stay oppressive, greedy and extractive/damaging. We have accumulated information and build libraries and theories (regarding our new models, think of Frédéric Laloux – Reinventing organizations, Michel Bauwens – Commons/p2p). It is now time to experiment small bubbles of useful actions. I believe in an open process framework/library where demonstrations and actions can be replicated, forked and improved. We went from opensource software, to openhardware, to open-actions. This can only be based on transparency and trust. These demonstration need to be cost-efficient and incentivizing for all actors, otherwise it will bring the raise of constrained policies, build friction and no-one will follow. For the civic innovation network, I meet a lot of people. I listen to their needs, understand their vision and assets, help them to overcome their obstacles, connect them with other useful actors. I organize private or open events. I give talks and lectures as well, sometimes. I make sure I leave myself time to wander, explore, dream and read, also taking free and lonely time to process. Why did you decide to create Civic innovation network? What do you do? As explained here above, CIN is a way to make our cities more resilient and more efficient, by making every individual or local actor concrete stakeholders in these improvements. Our goal is to leverage crowd intelligence to implement and scale projects/startup who can have a regenerative impact on our cities. We need new models when it comes to solves our current challenges. We are iterating these new models (collaboration, accounting, governance/decisions, licences, ownership) with the help of clusters of entrepreneurs who become complementary around urban missions (pollution, education, inclusion, etc.). Then, we plug public/private actors and we leverage the power of the citizens in the loop. All solutions are out there. Skills, resources, ideas and projects do exist and slowly build up solutions in all sectors. Through transparency and documentation, we aim at scaling these solutions faster across the country, and even build connections at EU-level. Making sure that a successful combination from Denmark with respect to education can be replicated in Milano or Brussels. If a pollution/energy solution is implemented at low-cost and is fully functional in Brussels, why shouldn’t we facilitate its replication in other surrounding cities? We are embodying an interface for interconnections between actors since everything is still working the vertical way, in silos and with high level of competition. Transversal understanding and empathy are almost at zero-level. This must change if we want to organize better. Collaboration – Diversity (actors, skills, domains) x Unity (need for synchronization) – Usage of other metrics/KPI - Ecology and systemic approach – Trust featuring transparency. Humanistic values - We must get out of prisoner dilemma, go beyond our biology (learn by mimicking and repeating behavioral patterns) – Making the win-win possible. I am a pioneering screener, a RSS reader on its own. I read and absorbed a lot of content, books, documentaries, fake news and scientific papers in eclectic fields and from many sources. My arborescence thinking helps me a lot, I make unforeseen links between supposedly different domains and the way things are pictured in my mind eases these meta-analyzing process. Krishnamurti said once that creativity was the result of our discontentment. I cultivate this latter. Balancing my time between hanging around with like-minded people and spending time on my own. Social media is a source of discontentment. Same with my passions for history and my efforts to understand the evolution and how Life emerged from chaos. We have the chance to live in an Era in which culture and knowledge have never been so easily accessible. My own journey, spiritual/ontological question and curiosity led me to find elements of answers to the infinite list of questions. But really, I am one amongst others. There is no real difference, or maybe external uncontrollable factors. I aim at Harmony and Beauty. Continuing my trip with CIN, making sure Brussels blooms and shows the way. I secretely would like to start a media with interactive content and interviews of experts, with a focus on change and politics. I could also combine this idea with a travelling van, going from one European city to another. Any tricks or recommendation? Any advise for people who want to create the life of their dreams? Brel said once that to go from Vilvoorde to Rio de Janeiro, it was not hard to go to Rio. The hard part is to leave from Vilvoored. Get out of your confort zone and take risks. You –and only you- know what you aim at, what you are driven by and how you want to implement it. Think about what your dreams could provoke. List the positive impact that stimulate you and fears that block you. Make the balance. Be flexible and open, stay open to opportunities Life brings you. Thanks for sharing your story Pierre-Alexandre! I strongly believe you inspire people to raise their collective consciousness fo a better collaboration in the city. 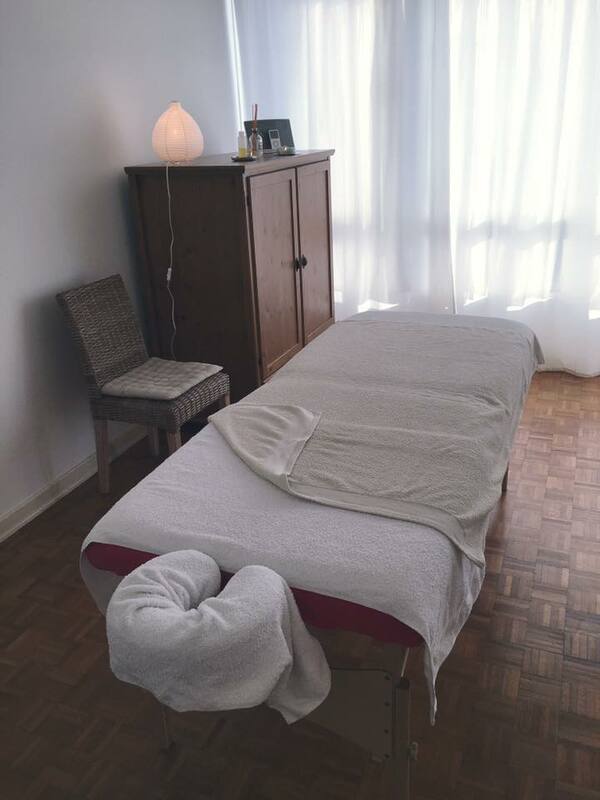 Geraldine is trained as a body-mind therapist and has been working for more than 5 years in Brussels, developing her own practice "Conscience & bien-être" where she offers massages, Reiki and meditation classes. She is now using her skills to travel and work on various retreats and teach her own experience. I am a 32 years old women, I come from Brussels where I live and work most of the time as a body-mind therapist. For many years now I have been mostly dedicated to bringing my practice "Conscience & Bien-être" to the next level and simultaneously evolve personally. Self development have been my great passion and I think it will remain my main goal in life. Lately I was focused on finding a lifestyle that suited me, allowing me to follow my own internal rhythm and at the same time being able to support myself financially only by doing what I like. I also deeply wanted to meet my dreams of traveling and spending more time near the ocean in combination with being independent. At one point, I realised that if I wanted to go further and bring important changes in my life, I needed someone to talk to about my crazy thoughts and uncertainty, someone who gives me feedback and who takes me by the hand and goes with me behind the door of fears but also most importantly, someone who understands me and understands my own way of thinking. So I started coaching sessions with a wonderful women who helped me to reach many goals and helped me build confidence in what I do. Since then, I traveled to places I have only been dreaming of, I worked with many interesting people and my practice is booming. I invest a lot in my own personal growth (by doing meditation, sport, therapy, yoga, eating healthy, etc) so I have more wisdom and more skills to help people with their own issue. You can not pour from an empty cup, and when I feel full of love and goodness, that's when I make my project grow. Of course, I also have my ups and downs, and I am not always happy and shining, I deal the best I can with my own issues and I learn a lot also from my own mistakes and difficult times, they also help me to get what others are going trough. It's really like and dance, going with the flow, going with the process, living and learning! My own life feeds my work. I don't know if I would say that that was a life changing experience, in my opinion, what is life changing is to be more aware and mindful about what choices I make, every little step that I take, day by day, that makes my life as it is right now. There were many fears along the way, and I am not done facing all of them but I overcame a lot already and I learned that holding them closely makes them less terrifying. Step by step I get a little bit further and slowly building my confidence in what I can achieve. Every single thing in life is an opportunity to learn. I go where my heart takes me and follow my intuition. I realise how short life is and I do my best to make my dreams come true. When I am not working with clients, I spend time reflecting, writing, reading, taking time for myself, connecting with nature and with my body. In Brussels I work from home and that's a real comfort for me as it saves me lot of time and energy that I can invest in myself. Why did you decide to be a massage therapist, facilitate meditation and use energy/reiki? The funny thing about this is that I never really chose this work. You know, when I was younger I never thought "I'm gonna be a massage therapist one day". Healing and massage kind of came to me when I was 23 and going through a rough time with family and health crisis, I then discovered energy healing for the first time and it literally opened my heart. Learning body-mind therapy for three years helped me to reconnect with myself and heal on many levels when I was feeling lost, completely disconnected and without any real purpose. I found it to be a beautiful work by the way I can connect with people in the most authentic way and I love to help others navigate inside their inner world. It is also really important to me to be able to use my body and be in movement as I couldn't be sitting on a chair the whole day. We are now in a time in society when we dramatically need reconnection with our body, our emotion and our spirituality and I find a real purpose in doing that. Love and kindness are surely my highest values and those are the ones that I want to share through my work. I don't really feel the need to feed my creativity, it's already pretty active, I have always many ideas. At the moment, I am more into finding ways to express it and put those ideas and thoughts into action. I think we are all different and what makes me unique is who I am, my story, my sensitivity and empathy for people. After traveling I'll be back in brussels for more awesome work and continue to grow with my practice and I'll probably adopt a dog anytime soon, one dream at a time. - Take time in silence, take time for yourself. - You are the only one responsible for your own life! - Be mindfull of your habits, they create your lifestyle. - It's never too late to change your life. - Don't be afraid to fail and make mistakes, that's the only way to build something. - Your thoughts create your reality, so be mindful about them. Thanks for sharing your story Géraldine! I strongly believe you inspire people to listen to their heart and respect their body and mind. Jeroen is a Social Entrepreneur since 2013 and his mission is to improve access to clean water in the villages of Indonesia by supplying an affordable and eco-friendly water filtration technology. He is the founder of two start-ups, Social ImpaKt in Indonesia and MicroBnk in the Philippines. I live in Bali, Indonesia since 2013. I was born in Belgium in Roeselare, West Flanders from a Dutch father and a Belgian mother. Spent the first 2 years of my life in my father's hometown in North Brabant province - Southern Netherlands. My father found a job in France and we moved close to Paris just before my second birthday. So my mother tongue is Dutch but I learnt French in the kindergarten. Bilingual at a very young age helped me to learn with more ease a couple of other languages. I am fluent in 8 languages today, amongst which Mandarin Chinese and Indonesian. I spent the first 30 years of my life in France, then moved for work to Shanghai, China in 2002 and spent 7 years there. I came back to France in 2009, moved to Dublin for 2 years - this was my last corporate job - and then back to Asia at the end of 2012. So I have traveled quite a bit in my life, for work and for pleasure. I led teams across borders and cultures over 5 continents. This has shaped me as a human being, I learnt a lot. The most important for me has always been and still is today to adapt to the local culture and to respect it. This allows me to learn, grow, as well as inspire and grow other people. In 2011, I was Vice President Europe, Middle East and Africa for a British corporation, based in Dublin, led a business of USD 260 million with 7 factories and 800 employees. Suddenly, in 2011, I experienced a shift. I realised that I was helping companies make money, but I was not helping people. I wanted to give new meaning to my life and focus on humanist values. I realised there was a better way to use my business skills. So I decided to start my own business, which is something I actually had in the back of my mind for quite some time. I wanted to become a social entrepreneur. So I first moved from France to Singapore end of 2012 where I did some thorough research on the pressing issues in the world and how I could help tackle them. I came across the terrifying figures of children deaths caused by drinking unsafe water. So I decided to focus on water and found an impactful, affordable and eco friendly filtration technology manufactured in Indonesia. I then moved from Singapore to Indonesia in October 2013 to promote this technology in the villages. I wanted an affordable product, so villagers could buy it. The filter costs US$ 20 and can be used for more than 2 years. After 2 years, you just replace the ceramic filter candle which costs only USD 10. Retrospectively, I must say that my thorough research was a key success factor, this water filter is an amazing and impactful product! 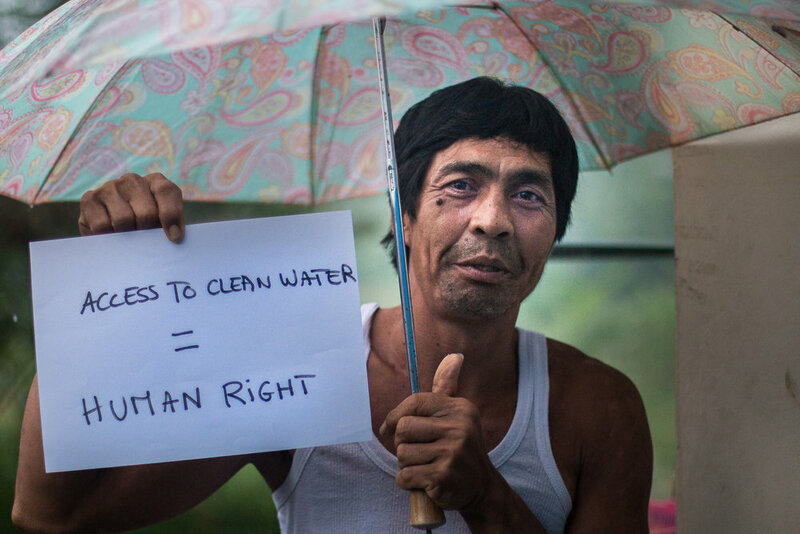 Water is life and I believe that access to clean water is a human right, and because so many people lack access to clean water I created a social enterprise, Social ImpaKt, to distribute safe, affordable, and high impact ceramic water filters to remote villages in Indonesia. So I embraced it, decided to move back to Asia and to act. Honestly, I have never been so happy in my life, I live on a beautiful island, Bali, with more than 250 days of sunshine per year. I save lives, I help improving the living conditions of local people and I help protecting the environment. I meet wonderful, inspiring people, from which I learn everyday. Bali is a very special place, high in energy, in spiritualism with a lot of talented people deciding to come and live here. Well, it is not easy after 20 years of corporate experience to decide to stop, say bye and for the first time in your life, not receive your monthly paycheck. And I was earning quite a good salary. You have to start building everything again from scratch. I remembered that it was super scary to have to pay a high rent in Singapore during the 7 months I stayed there and not getting any income. But I knew it was temporary and that I would move to Indonesia soon. Nevertheless, there were days that it seemed to be such a huge mountain to climb that I was questioning my ability to make it and to be successful. The good thing was that at the same time, in 2013, while in Singapore brainstorming about my water filter business and how to start, I met a talented Italian living there with a lot of past corporate experience. After a couple of meetings over a coffee, I decided to partner up with him and we created an innovative fintech start-up in microfinance. It is also a social enterprise, a peer to peer platform connecting unbanked micro entrepreneurs from the Philippines, the borrowers with lenders all over the world. It is an app and thanks to this app and a credit scoring system that we invented, we allow these micro entrepreneurs to get access to credit at fair interest rates, through technology, despite them being unbanked and having no collateral. Now I look at this in retrospective and I am really happy that my fears did not prevent me from pushing it through : here I am 5 years later having started two companies, living in a beautiful place, the island of Gods, doing what I wanted to do, i.e becoming a social entrepreneur. My wonderful Spanish girlfriend Carmen ! More seriously, the feeling to do a good and meaningful job, to help others, to be inspiring for other people. And to ignite that little spark into them so that they will contribute to make our world a better place. Be happy, positive, believe in yourself, have big dreams, visualize big things and you will achieve them. Love yourself first and you will start loving others. Be kind, helpful and the universe will make things come back to you. When I wake up, I do a few exercises for my back, then I meditate, prepare and eat a good breakfast before starting my working day. Then I am having a look at my agenda and I am writing down my goals for the day. I have a notebook which is called my Positive Evidence Book and I write in it the good things which have happened to me during the day. And from time to time, I go through what I wrote in my Positive Evidence Book and it makes me feel good and understand that many good things have happened to me and that I am actually a very privileged person. I take the time despite my busy schedule to do a lot of personal development, attend talks on different subjects, economical, spiritual, how to future proof your business, listen to coaches etc... I must say that Bali is a great place for that. It is super important to stay alert and to keep up with the latest trends. Lifelong learning. Why did you decide to create Social ImpaKt? Because I wanted to make a positive impact on this world. Up to now, I have already impacted the lives of more than 15 000 people here in Bali by providing them with access to clean water, helping them to improve health, to save money and reduce their use of plastic bottles. Which is much needed in Indonesia, as plastic is an environmental nightmare here. Indonesia is the world’s second largest source of marine plastic pollution after China. I met more than 150 village leaders and visited more than 500 schools over an 18 month period in East Bali to promote the water filter in the villages and improve access to clean water. I wanted to validate a proof of concept, that it was possible to sell filters and improve health and income in remote rural areas, and I succeeded. My inspiration comes from inside me, my " gut feeling " but also from outside, from the beauty of our planet, from awesome encounters that can change your life. From going on an expedition and trying to reach a summit. Actually, as my good friend Ben says, you can compare this to life's great moments : falling in love, having a child, signing a new deal and each of these events requires great efforts, perseverance in order to achieve it. By reading books, going to talks, conferences, by taking notes and writing, by meditating and being surrounded by mother nature. I want to live in harmony. And my purpose is to give back to the communities. In Bali, Tri Hita Karana is a traditional philosophy for life. The literal translation is roughly the "three causes of well-being" or "three reasons for prosperity." So this is what I am trying to achieve here in Bali by adopting this philosophy of life. - What’s next for you in the coming months? 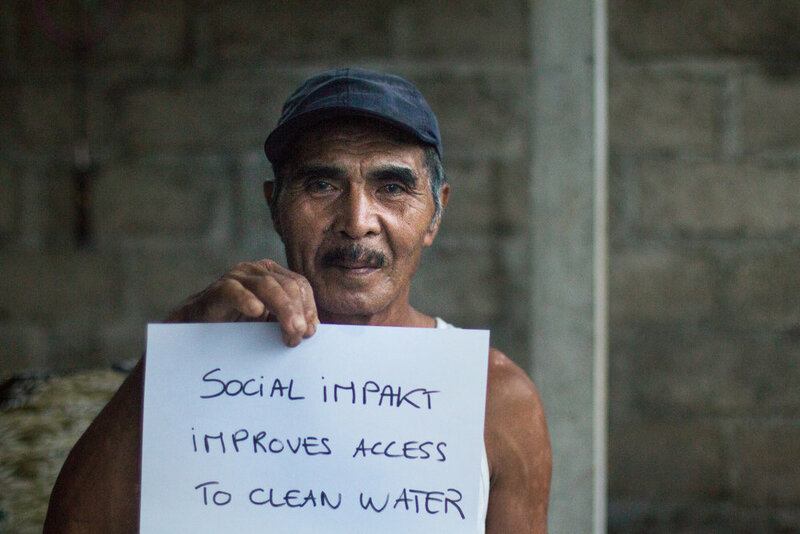 My company Social ImpaKt is launching a crowdfunding campaign on Thursday September 7th on UpEffect to raise € 50,000 and provide 1,600 water filters for 3 villages and 25 schools in the area of Sidemen, Karangasem in East Bali, which will positively impact the lives of 13,000 people. This is an area where access to clean water is difficult. You can find out more information by visiting http://bit.ly/2hMZ2JI. Do not hesitate to donate and share with your friends and social media, it is for a good cause. One of the donors to the project, regardless of the amount donated, will win a visit to the project in Bali for free, including airfare and accommodation, if our funding goal of € 50,000 is achieved. Living the life of your dreams isn't about luck. It's about choices. Dare, dare and dare. But it is important to have a clear vision of what you want to do. So start by listing the 3 things that are the most important to you. Take time each day to STOP, PAUSE and practice the art of being grateful. It will change the wiring of your brain and nervous system with a focus on " what works ". And Happiness starts with you. Not your relationships, not with your job, not with your money, but with you. Thanks for sharing your story Jeroen! I strongly believe you inspire people to do their part to live in a better world. 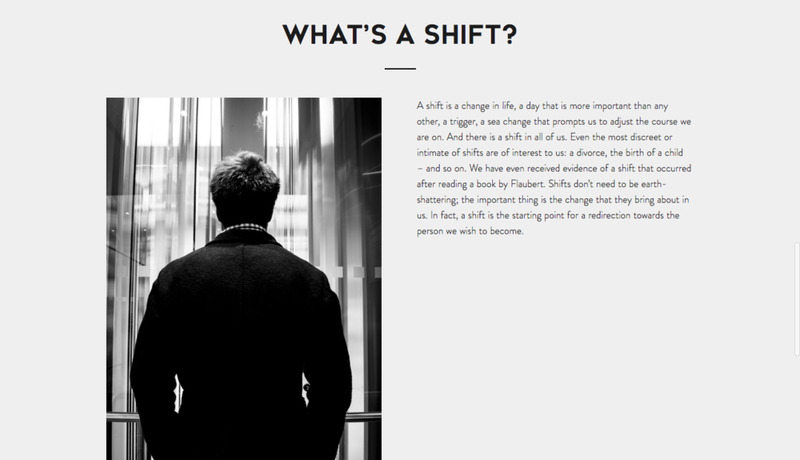 Edouard is the Founder of We Shift, a series of short testimonials videos which highlight people's changes. He now focuses the project on Business Shift to highlight companies who decided one day to inspire a change around them and through them. Well, in this present, I am a happy man of 30 years old, in relove-ution, and in progress. I first started studying law that allowed me to learn how to structure my mind while I rather have a creative and "dreamy" mind. During these few years of actually studying depression…, I took the time to learn the most fundamental question to me: what governs human relationships? Two potential answers at that time. On the one hand, God whom I assimilated to spirituality, which I definitely distinguish today from it. Or, on the other hand, money. Which leads today to manage other companies but the study of myself remains the most intense and amazing thing ever. The past two years have been incredibly rich in discoveries and learnings. The most striking events of the past 730 days have been the "transformation", or death, of my father and the birth of We Shift a few months later, the day after my thirtieth birthday. There was so much to take into consideration and the responsibilities I have learned lead me today to thank my father every day for allowing me to learn all this through his absence. The Death of My Father and the Birth of My Child, We Shift! ;) Powerful symbolism! So it's very funny that you (Caroline Weiler) love Bali because I understood by being there in the beginning of 2017 that a lot of understandings about letting go came when I was in Ubud. My mind has given way to the appreciation of what is here and now and can lead this reflection in reference to what my father allowed me to experience through the paternal responsibility of a family and a heritage to be managed. It has been a beautiful stage of life. Taking my life in my hands was the key word this year! Responsibility and action are the two things that emerge from these intense experiences on both the material and the emotional level. Today I'm living my life in a way that was unimaginable for me only a year ago. Obviously and fortunately everything is not simple but positivism takes over the administrative hazards that continue to bother me but which are integral part of this reality then so much to look at them with a light comical smile. Last year, I was responsible for me, myself and I ... One year later, I'm working with 30 people on and off to take care of my businesses. I really get the idea of delegation. Being able to delegate is intrinsically linked to trust in the Other and ultimately I notice that this is exactly what the world is experiencing right now. The old system was not able to delegate and it was the "big boss" who decided everything. Now, the "liberated" companies are more associated with the idea of trusting and giving responsibility to employees in relation to their expertise. Today, and thanks to learning how to delegate, I manage to let go in confidence and trust. This approach provides an enormous amount of freedom. Now, I have to learn to take into consideration and respect MY time, not just time for others or for my projects. How did you come with the idea of We Shift? We Shift is one of those projects and it is without a doubt the one that touches me the most. When you are an entrepreneur / artist, you often speaks of a personal need that you try to explain in the best way possible. We Shift is an example. When I had to drastically challenge myself in April 2015 following a Skype with a friend who is a film director, I realized that we were all going through events, emotions, encounters that affect us and allow us to become the person that we are today. Entrepreneurial projects or even life projects often start with this click, this Shift that takes us to take this or that path of life. We Shift offers beautiful energies, emotions and values. I do not know if there is an order of importance but the values conveyed are responsibility, leadership, equality, personal entrepreneurship, curiosity, introspection, vulnerability, humility, sharing, authenticity, transparency, etc. Indeed, to be responsible and entrepreneur of our lives, there is a knowledge of Self that seems to me obvious. When you accept that everything is not perfect in your life and that we all have to pass through powerful and existential questionings, extraordinary discoveries are manifested which lead us to know ourselves more and thus to learn about ourselves, and the person we want to become. 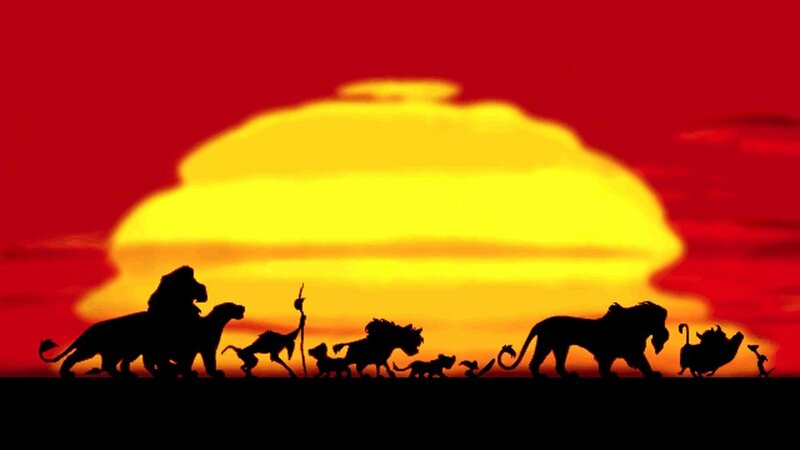 My inspiration came to me from films and specially « The Lion King » at the age of 8. My unconscious curiosity turned into consciousness when I was 19 after a discussion on kinesiology with an unknown man. Returning from this party at 4am, I watched my first documentary on a crazy subject. Wanna know? For me, the most primary witness to intelligence is curiosity which simply boils down to listening to the "Why?". First, it's a very simple question. It allows you to listen to each other and to yourself. Secondly, it creates a link with those around you. It is a question that will always give you the most madcap answer. Why do you breathe? Why are you eating? Why do you drink ... water or alcool? Why are you here? Why are we here? To question yourself is to question the Universe around you. Then at the end with a little wisdom gained, we wonder why … we wonder why … And that the only thing to do or ask from life is to live. We will talk about it at our next meeting. My life mission on which I work is to "Inspire a responsible balance for humanity". Several things emerge from this sentence. Balance... We all seek it in our lives and yet it is always momentary and corresponds to what we inspire to live. My search for balance is not going to be the same as someone else but if we manage to feel relieved to have reached it in a moment of personal grace, I think that humanity would live in mutual respect. Responsibility is also part of this mission because I think that we are entirely responsible for what happens to us and that we propose to live things through the stages that we experience and those that we surpass. To be responsible is to be deeply optimistic about what life offers us to live. To end with the humanity that is what brings us all together. This interdependence that we are all in. This means that we can communicate and understand each other and thus mutually elevate each other towards a global and spiritual awareness that nothing separates us and that we are all linked to one another. The next few months are impregnated with a commercial approach to propose the notions of Shift in companies and thus rediscover the meaning that more and more employees lose at their job. Being able to understand and make the connection between the choice that led them to work in a particular company following a Shift will be able to give them back the understanding if this choice was the right one and thus realign them on their deep motivations. In our culture, we often have the ability to intellectualize everything by believing that it will allow us to control things that will happen in our lives but it is not. Control is an illusion. Taking into account all the variables of a future decision is obviously impossible. As a result, only action counts and it is a daily job to find the balance between reflection and action. Inspire yourself by being better than yesterday. Never forget that you are the most important person in your life. Thanks for sharing your story Edouard! I strongly believe your positive thinking and your ability to see the world as it is are making a big difference. Founder & Editor-in-chief of The Lemon Spoon. She is committed to a more respectful way to consume, by respecting others, herself and the planet. She tries to adopt a simple and slow lifestyle. Her motto : "All you need is less". I was born in Brussels’s countryside. French is my mother tong but I speak fluently english, spanish and dutch. I have loved design, art and photography for a long time. I love highlighting things through beautiful visuals. My favorite thing above all? Prepare and eat good food :D. I could even say that my life is punctuated by the needs of my stomach ... My kitchen is often similar to the studio of an artist. Nothing is as beautiful as on pictures. In fact, my kitchen is a mess when I cook (oops ..). On a dietary level, I am flexitarian*. For a matter of ethics, pollution and health, I limit my consumption of meat. My daily staple food is vegetarian. If I want to cook fish or meat, I will pay particular attention to the origin and breeding conditions. I remain convinced that we must have a varied meat- and plant-based diet, provided to favour eco- friendly, local and healthy products. Since I’m 18, I fight against my inner demons. I had a lot of painful experiences such as complicated relationships. But everything happens for a reason, that’s why I learned a lot about myself from those experiences. I also tried many different studies : fashion design, marketing, interior design, fine arts, … I obtained one bachelor in marketing and one master’s degree in interior design. I lived 3 crazy years in Barcelona. Probably the best experience in my life until now. My shift happened when I moved from Barcelona, where I spent three amazing years out of my comfort zone. I came back with a Master’s degree in interior design, and above all, a meaning that I wanted to give to my life. Returning home after spending those years there, I was horrified by the amount of clothes I accumulated. Especially by this huge mountain of stuff from Zara and H&M (aaaargh). Obviously I needed to carry everything with me to Belgium. And this is where the penny dropped! Since I returned, I didn’t buy a single piece of fast fashion. I realised that the need to have always more and more doesn’t make me more happy. I realized I wanted to share my shift with others to make people more conscious. And that’s how I started being an entrepreneur working on The Lemon Spoon. Hum…. struggling with a of emotions…But stimulating me every day more. I actually felt really happy about being more conscious. I felt really positive about making my life less superficial and more minimalistic. Working crazy to develop The Lemon Spoon. But I still trying to find balance even if I have a more healthy life than before. I guess this is the aim of our lives, find a balance. But at the end I think we will spend our lives looking for the light. And that’s why life is beautiful, nothing is never perfect. You just have to learn how to dance in the rain. How did you come with the idea of The Lemon Spoon? Everything begins in March 2015. I am then living in Barcelona. A “love at first sight”, or maybe should I say at ‘first taste’ with the book of Deliciously Ella, gives me the inspiration to start The Lemon Spoon. She made me realise the importance of having a healthy diet every day; this is when I decided to share my passion on Instagram. Since July 2016, I devote myself full-time to The Lemon Spoon and its positioning. This new direction means having a healthier diet but also a more ethical lifestyle. One thing leading to another, I realized that one did not go without the other. When we decide to respect our body, it is a return to the roots, including becoming mindful and respectful of people and the nature around us. Why did you decide to live a conscious, sustainable and healthier life? I believe that every little positive change in this world does count. We are all responsible for our wellbeing and our planet. But above all, returning to roots makes me feel my life is more meaningful. I feel more connected to myself. « All you need is less ». Make your life simple : little pleasures, more experiences, less material… and be grateful for what life gives you ! I think it's hard being always creative. I guess the place I'm the most creative is in my kitchen. I love to improvise. The less ingredients I have, the best I cook. It's the same in your daily life, you become more creative once once you want to live with less. Having a sustainable life stimulates your creativity a lot. You have to find solutions : re use, recycle and repair things. A lot of work to develop The Lemon Spoon. I'm actually hiring an intern to help me ! But the best news is that I will start a crowdfunding campaign in September in order to go one step further. Stay tuned! Because your are unique, be yourself and believe in yourself. You never lose or fail, you either win or learn. Don't put yourself too much pressure, you are exactly where you need to be. Listen to what your body tells you and don't forget to take care of yourself. But most important : never never give up ! Thanks for sharing your story Caroline! I strongly believe you are doing your part in this world by sharing your conscious living . Zoé Topiro, co-founder of Les Allumettes, which organise different kinds of events related to the quest for happiness. My name is Zoé. I’m 32. I’m French. And I’m a dreamer and a life lover. I realised that everything was possible and that our natural state of being was joy and happiness. So I decided to be happy. I've just quit a job that I never really liked to follow my heart, my inner voice and my dreams, instead of my fears. To trust myself above all and to trust life. I’m about to leave Brussels - where I’ve been living for 7 years now - to move to Lisbon and change my life. One day, in April 2015, 2 years ago, I went for a run into the woods. I had learnt all about those concepts of present moment, happiness, gratefulness etc … that everybody was talking about. At that time, I had read all these books about how to be happier, how to find oneself, how to set oneself free … I had followed a mindfulness training. I used to meditate everyday. But I think I had not really got it. That day, while I was running with my best friend Hannah, something happened. Something that I can’t really explain. I suddenly got it. I suddenly understood the wonder of life, saw the beauty of what surrounded me, felt the magic of being in the present moment, released my fears and set myself free. That day changed my life. I love to say that EVERYTHING can change in one day. Because everything can change in ONE DAY. As I got closer to myself, reconnected to myself, I learned how to love myself unconditionally. People often ask : “But what does this concept of self-love mean ? How do we do ?" I understood that self-love was the secret to happiness. It just means to be kind and sweet with oneself. And to listen to oneself. So what is my daily life ? I still have a full-time job until October now but the rest of the time I just listen to myself as much as I can. Everyday is different but I am a routine person. I wake up very early every morning - at about 5 or 6 am. I take some quality time for me in the morning. I practice Yoga everyday. When I am inspired, I can spend entire weeks alone with myself, without socializing or seeing anyone, writing, meditating, walking in nature, running, reading, listening to the piano. And then suddenly when I feel like meeting people and doing something crazy, I take a flight and I move to new worlds to have fun and to enjoy life. I used to be a control freak (big time), so now I learn how to be more spontaneous. How did you come with the idea of Les Allumettes? I had this idea about organizing retreats. I always loved organizing events or any kind of reunions. And I had a very clear idea about what kind of retreats I wanted to set up. When I told my sister Eugénie about my concept, she said to me : « Oh my god, I just met this girl, Stéphanie, she is amazing and she has exactly the same idea as you ». So we decided to meet the 3 of us in Marseille, in August 2015. 15 minutes and an ice cream later, we said : « Ok, let’s do this together ». 2 days later Les Allumettes were born. Today, almost 2 years later, we organize different kinds of events related to the quest for happiness as well as professional training, in France and Belgium. We have created the concept of Inspiring Morning, a very early morning before-work, to show that waking up early before the sun rises holds something magical. It means choosing to dedicate some time to the person you would like to become, and to the realization of your dreams. Every week, we write articles that we share on our happiness blog to inspire people. And we also have created a channel on YouTube dedicated to our guided meditations. We have discovered that changing the way you look at life has the power to transform your own life and make it really prettier. Our mission is to lighten up people’s paths, create sparkles, re-kindle people’s inner-flame. We try to show that with just one spark, you can start believing in yourself and go chase your dreams. Far from wanting to impose any method or line of conduct, we just want to share what we learn about ourselves and about life. We are aware that changing the world implies and starts with changing yourself and getting to know yourself. And we believe there is not one way but so many different ways to do so, to find your own path and get to hear your own voice. Each event is conceived so that everyone can start hearing that peculiar voice. By writing. It's where I'm the most creative. By being in silence. In nature. In big open spaces. And by waking up early in the morning to enjoy some quiet and alone time at the dawn. Most of it from my inside. My emotions. What I feel. My intuitions. I am open to what's happening inside of me. Also, listening piano music has a big influence, same as reading poetry. Being in nature is essential to reconnect with myself, being close to trees and mountains, and spending time alone. The philosophy of yoga plays also an important part in my life and brings me a lot. And I feel really inspired when I'm going beyond my fears. And last but not least, meeting new people and make nice encounters. I don’t know. I think we are all different but at the same time we all are in the same boat. And we all inspire each other. For the last 2 years, I’ve been meeting so many beautiful and inspiring people that I would not be who I am today without having met them. I love this quote : "You go faster alone. You go further together.” We are all different and at the same time, we all are one. I’m moving to Lisbon in October. I have so many plans, ideas, projects and opportunities that I don’t really know what is going to happen. - Help a friend who is working on a conscious consumption website. - Devote my time to Les Allumettes. Create an app and nourish Les Allumettes's world. - Focus on the writing of my book. An accessible and sparkling novel inspired by what I experience(d). - Travel in Asia. Nepal, India, Bali to do a yoga teacher training and write. - Develop my collaboration with Les Antisèches du Bonheur. Coaching in companies and developing tools to be happier and more productive at work. But for the first time of my life, I feel like I’m ready for it. Ready to jump, to embrace the unknown, to go with the flow of life and to trust life more than anything in the world. I’m not scared anymore and I truly and deeply feel free. I have so much to tell. Also, you have to be prepared to lose things and people - because you are going to feel like losing and letting go of a lot - and it is absolutely fine. Someone told me one day : “you are not losing, you are regenerating”. And it is so true. There is no rebirth without death. My friend Jonathan says : "For every this, there is a that”. And I would add that when you are about to make the jump, surround yourself with people who see life the same way as you do, who have the same dreams as you. People who support you, who understand you and who give you wings. It changed everything for me. Thanks for sharing your story Zoé! I strongly believe you are making a difference by doing what you believe in. Gaëlle Dutron is a yoga teacher and co-founder of Wellness Experience, retreats & workshops in Belgium and abroad, which give everyone the opportunity to take a break, reconnect with themselves, in nature and go back to the essentials : good food, good mind, good environnement, good feelings. I am Gaëlle, 32 years old. I have been living in Brussels since 8 years and working mostly in the communication sector. I still do that as a freelance, but beside I launched in November 2016 with Audrey Elsen a well-being association that organises wellness stays, workshops and activities in Belgium and abroad. Beside I practice and teach yoga classes once a week. About myself, I am a calm and positive mind, I like to work on my own, and on my own projects, I like to learn new things, I like to create and to think about how I can evolve in the world, with others and myself. I like learning everyday about myself and how to become a better person, either for my personal life or my professional life. It is a dream to be able to do what I love as a job. Two years ago, I decided to quit the job I had always dreamt of : working for big brands in an advertising agency. I was where I wanted to be at that time of my life, at 30 years old. But I was working as hell. I was anxious all the time, nervous, stressed on Sundays night to go to work the next day and I couldn't sleep well. I couldn't go on like this. I knew it was not right. So I decided I didn't want to live a life like that anymore. I then quit my job to learn more about what really like : nutrition. 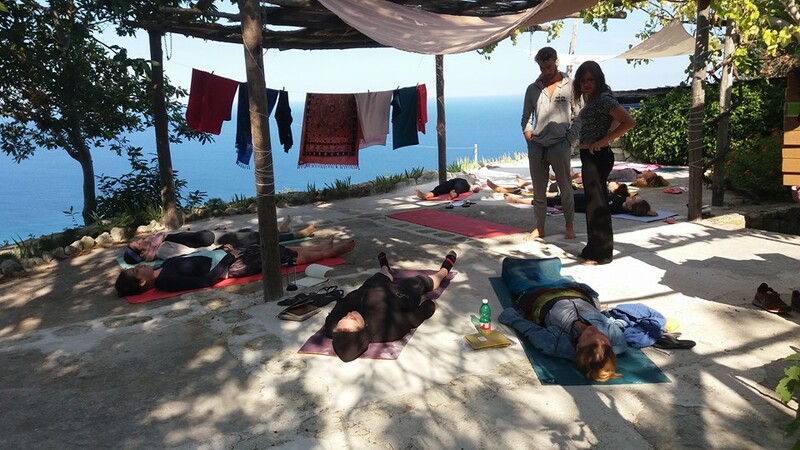 I participated to a one week retreat of fasting/detox and wellbeing in the South of France 2 years ago, just before I decided to quit my job. That's when I realised that I couldn't work like I was anymore and that I needed to find more values into my job. I loved being in the retreat with openminded people, I loved the center, the way they were working together, without any stress or pressure. After that retreat, it took me 2 months to say goodbye to my job and go towards the nutrition sector that was already a passion I started to study a year before. I quit the agency and started a new life at the Pain Quotidien for a few months and then I traveled away for three months on my own in South East Asia. At that time of my life I felt confident, free, and I knew I had made a good choice by leaving my job. It was not easy, I wasn't confident all the time, but at least I wouldn't work for big brands with money and pressure, all things that were not in my spirit of life. After my travel, I worked for a nutrition coach in order to have some experience in the nutrition/cooking sector, and I continued to work in the Communication sector for her, which is my first passion. Now I work 4 days a week as a freelance for Copines de Voyage which organises thematic travels for girls around the world. I discovered the concept while I was travelling in Asia 2 years ago. I fell in love with it, so I am really happy to be part of this great concept and to work for something I believe in. The rest of the time I am fully into our Wellness Experience project. I dont really know how much time I work for it because this project is always in my mind : new ideas, new posts to make, new people to contact… I am dedicated to it 100%. And at the moment I teach yoga once a week for a small class of friends. I also continue to form myself in nutrition at the Cerden (few weekends per year) and with another training one Friday per month. How did you come with the idea of Wellness Experience? 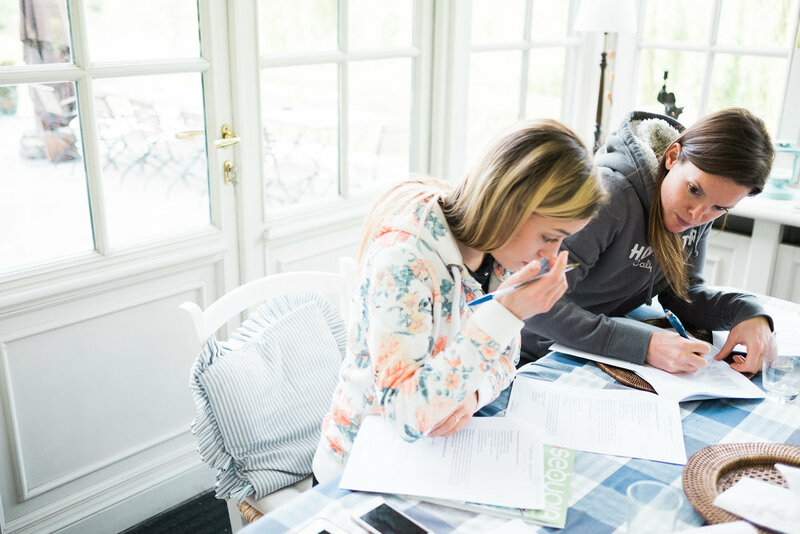 We worked together last year with Audrey for this nutrition coach and we were already organising some detox programmes abroad. After one of them one year ago, we realised we were a good team and that we could organise our own project instead of working for someone else’s. 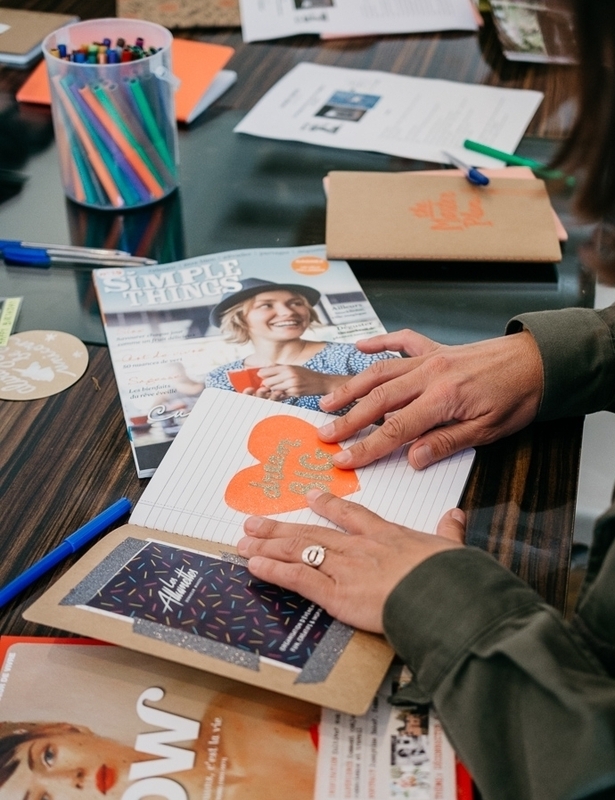 That's how we decided to create our own vision of wellness stays. We wanted to create something that was illustrating where/what we were, with our common values. I decided to try yoga 3 or 4 years ago with a friend of mine. I didn't like it so much at first. I thought I was not flexible at all and it was not something for me or something I could be good at. But I kept doing it. I realised I was feeling so good after each session, so relaxed, so peaceful. It became a need. And at that time I was still working in Communication agencies, so I was in need of that kind of relaxing time. Last summer I was really lost with what I wanted to do in my life, to create, to do as a job. I knew I didn't want to work anymore for someone but I was feeling lost. I decided to do this yoga teacher training, but at first it was not to become a teacher, but more about the yoga itself. Yoga means union, and I wanted to feel reconnected again. I was feeling my body and my spirit were apart. I needed to feel this connection, to feel in line with my mind. I went away for 6 weeks in Italy to learn the philosophy of yoga, the postures, the way of thinking. I realised when I came back that I had a complete other vision of yoga that before I left. Yoga was not just a way of being relaxed, or a way of doing sport and moving my body. It was a new vision of life, a new vision of myself, how to be more connected with myself, my feelings, my emotion, but also how to enter this yoga spirit into my life, and how to be more in connection with everyone around me. Despite the fact I didn’t want to teach yoga at first, now I teach a small yoga class in Schaerbeek once a week. I like the fact that I teach to a small group, we have time to talk, to express our emotions, I have the time to correct the posture of everyone, or to give advices. And I am still learning with them every week. Why did you decide to help people to eat healthier and learn nutrition and cooking? I became interested by nutrition 5 years ago, something like that. First because it was something that came into my family : my mother is into it, working as a kinesiologist, my sister was already into the organic sector… But also it came to me because I realised I was not feeling well all the time because of what I was eating and that the nutrition could have a bigger impact that I thought on the wellbeing of everyone and on emotions. I started with some cooking classes, and then some conferences, and lots of books and new recipes to try. And now I am finishing a 3 year program in nutrition at the CERDEN. I will end it in June with a final exam. Beside I am still doing other trainings in order to keep learning, and because It has became a real passion. The important values about what we do with Wellness Experience is to share ideas, feelings, new visions, thoughts. For me what I like about what we do is that we meet people, we meet their needs, we help them with their questions, how to take care of themselves, how to feel better in their body and life with a new kind of food, with yoga. It is a way of being in connection with everyone around us and to make people feel better, and to share with them. For me, 3 main values would be humanity, connection and sharing. We are young, we quit the marketing world, we are still learning, human beings in evolution. We don't pretend to know everything but we know we still have a lot to learn. We are human and we want to give everyone the opportunity to take a break somewhere, reconnect with themselves, in nature, going back to the essentials : good food, good mind, good environnement, good feelings. Our wellness stays or workshops are open to everyone, and we try to make it affordable in order to give opportunities to everyone tojoin and try it. We want to develop the image of Wellness Experience. We are not only for girls, we are not a detox programme. We organise wellness stays with sports, yoga and cooking classes for everyone, men and women. We would like to develop some wellness days in Brussels or around to open our activities for daily programmes. We also would like to develop activities for companies, or teambuilding workshops. We have the whole summer 2017 to think about it. But first we have 2 wellness stays coming in July. The first week of July, for women only, in the South of France, a beautiful place in the area of Nîmes. The house is just beautiful and offers a perfect opportunity for relaxing time and taking care of ourselves. The second one is mid-July. 4 days of yoga and running in the region of Namur, Belgium. Create a life you don’t need a vacation from. Thanks for sharing your story Gaëlle! I strongly believe you are making a difference by doing what you love.